It is cheap and small lot, quality is satisfactory. I am oft excited to choose various sizes. This review is about item#41696557. I use it for radio production and repair. It was a product as I thought. I was worried whether the optional nut would meet, but it is perfectly fit and easy to use. It was good that it was cheap. This review is about item#41696532. Purchase looking for stainless steel that will not rust. The plus part is large size and tightening is safe. This review is about item#41696925. 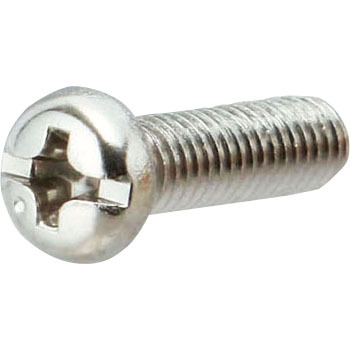 For replacement of the screw in the classroom desk. Very easy to stop and firmly stopped, I thought that I was able to buy a very good product. This review is about item#41696873. Since the head of the header is flattened partly, it is easier to pick up the screws, the tightening with the driver was smooth, there is no burr or deformation of the processing and it is a good quality. The head is relatively small. This review is about item#41696462. This review is about item#41696575. To repair toys, purchase it as a substitute for the thread of the chamber block of Tokyo Marui VSR-10. Because genuine products are two irons made up about 100 yen, this is a stain and it looks good in durability. This review is about item#41696523. As for the product, it can be used without problems compared with other commercially available products. Packed goods are convenient because we want to stock many kinds of screws.